UAE is every expatriate’s haven, not only because of its wide employment opportunities but also for its pro-labour policies which tend to maximise each worker's income capacity. And like a cherry on top, expats will also be glad to know that there is no personal income tax in UAE, making it one of the most ideal employment destinations in the world. According to an online article published by the Gulf News in 2016, the United Arab Emirates continued to dominate the Arab world when it comes to prosperity, productivity and economic competitiveness. UAE also generated a total of USD 67,696 GDP (PPP) per capita which made it the 9th richest country in the world in 2016. The UAE has one of the most promising career climates in the world and expats are most welcome to take part in it. The first step is for an applicant to find a UAE employer who is willing to be a legal sponsor and will help them with the relevant employment paperwork. Despite UAE’s drive to have a highly diversified economy, it remained significantly reliant on its oil industry. Aside from Dubai, the remaining of the Seven Emirates are still dependent on their oil revenues whereas nearly 85% of the country’s economy is based on the said industry. Abu Dhabi, on the other hand, continues to put petroleum and natural gas on the centre of its economy while Dubai, which has smaller oil reserves, is finding bolder ways of diversification. 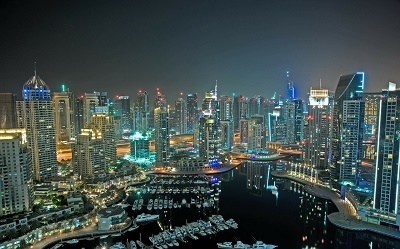 Aside from the oil industry, expats will still be glad to know that UAE has several other rapidly growing industries. Job opportunities are now open in the media, public relations, entertainment and advertising industries. There is also a demand for foreign nationals that have expertise or professional background in engineering, real estate in construction as well as in automotive, production and manufacturing. The average salary hugely depends on which Emirate the expat will work as well as on his professional and academic background as well as job description. For example, in Dubai, there is no standardised salary or minimum wage. Those who will work in the marketing sector can earn around 17,200 DH per month while an expat employed in the oil, gas and mining industries have a take home pay of roughly 29,000 DH monthly. In a nutshell, every company and sector in UAE has various pay structures, and the negotiation skills of an expat have a significant effect on his potential salary package. Foreign assignees must also know that in UAE, companies or employers are prohibited to offer excessively low contracts. Workers who deem that they have been offered with an irrationally low salary package can contact the Ministry of Labour for legal assistance. The typical work week in UAE and in most of the seven Emirates is from Sundays to Thursdays. Government employees or those working in the private sector usually work from 7:30 am to 2:30 pm while those employed in private companies have a 9:00 am to 5:30 pm work days. As per the UAE Article (65) of the Labour Law, the total number of working hours for adult employees should be eight hours per day or 48 hours per week. Most offices are closes on Fridays and during Islamic observances. Historically speaking, UAE has a long tradition of trading and showing hospitality to foreign nationals which mean that those who are bound here can expect a warm welcome. Extensions and postponements of business meetings are also common in this country, particularly during Ramadan so expats must learn to be patient and respect their religious customs. UAE is also a quite conservative country, so it is always best to dress casually especially in the office. Majis or ‘a place for sitting’ is one of the oldest traditions in UAE that is still being practised to this day. Business meetings often take place in sitting rooms where people gather to discuss a particular topic. Everyone is allowed to speak and pitch in their opinions or suggestions. Majis are time-consuming but usually, tea, coffee or foods are offered in between meetings or during several breaks. Expats must never refuse the hospitality of the host since it will be viewed as rudeness or extreme impoliteness. A job-seeking expat in UAE may either enlist the services of an employment agency or apply directly with an employer. However, most choose to deal directly with employers because of additional perks such as free airfare to the destination emirate. A plethora of attractively compensating jobs abounds in the fields of banking and finance, construction, engineering, tourism, management, telecommunications, media, education, and information technology. UAE's recent economic diversification program has allowed for even more job opportunities, this time in the construction, manufacturing and services sectors.